Two young men, wearing hoods and carrying several weapons, opened fire at a school in southern Brazil on Wednesday, killing eight people before taking their own lives, the governor of Sao Paulo said. The men, identified as former students at the school, ages 17 and 25, also shot and killed the owner of a used car business nearby before launching the attack on the school in Suzano, a suburb of Sao Paulo, Brazil’s largest city, authorities said. “This is the saddest day of my life,” de Campos said. The 17-year-old opened fire with a .38 caliber handgun and the 25-year-old used a crossbow, de Campos said, adding that forensics would determine how the victims died. 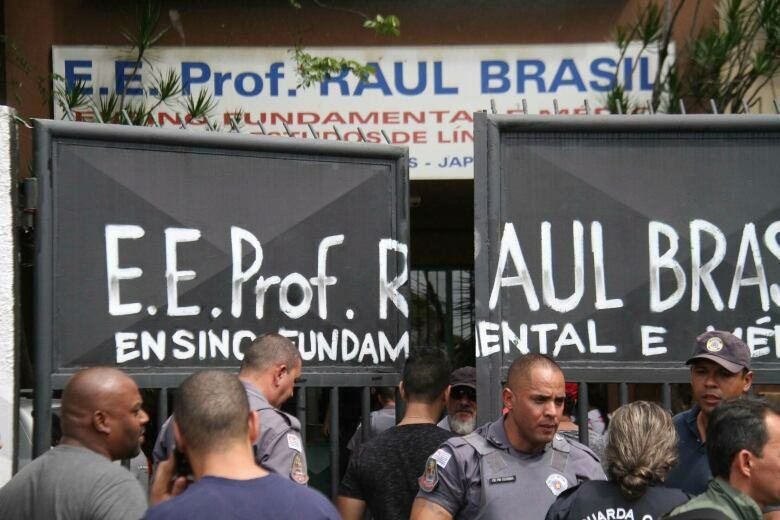 The public school, Raul Brasil Professor (translated in English), has more than 1,600 students from elementary to high school grades, teachers gathered outside said. Doria said the school had been evacuated and police were inspecting what appeared to be possible explosives left by the gunmen. “We were at recess and eating like normal, and we heard three pops, then we tried to run to jump over the walls,” Rosni Marcelo Grotliwed, 15, told G1 news portal. Latin America’s largest nation has the highest number of annual homicides in the world, but school shootings are rare. Brazil’s new president, Jair Bolsonaro, recently announced gun ownership controls would be loosened. While gun laws are considered strict in Brazil, it is not difficult to illegally purchase a weapon.